The CDC says mandatory quarantines of those without symptoms are unnecessarily severe and will discourage health workers from going to West Africa to fight the epidemic. It says people at the highest risk of contracting Ebola but who have no symptoms — such as those who came into direct contact with an Ebola patient’s body fluids — should avoid public transportation and public places like shopping centers and movie theaters, even if they have no symptoms. Activities like jogging, in which the person maintains a 3-foot distance from others, are allowed. The military has imposed the toughest rules for troops returning from affected countries, requiring 21-day quarantines even for those whose jobs do not require them to be in contact with any infected people. New York and New Jersey have imposed mandatory, blanket quarantines of 21 days for health care workers returning from the disease’s hotspots and travelers who have had contact with Ebola victims. 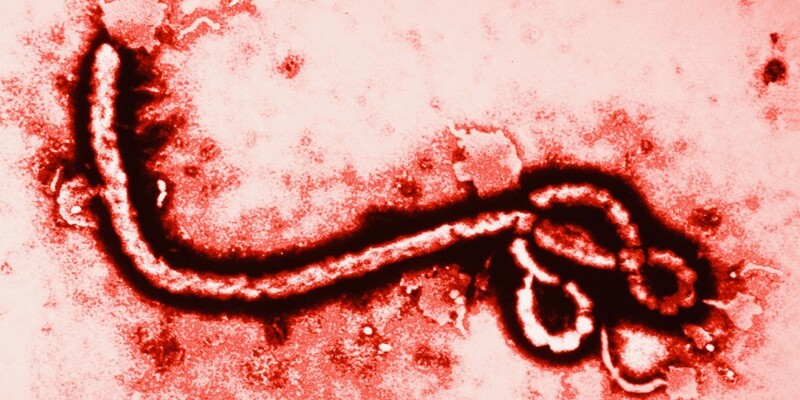 Maine officials have called for voluntary quarantines for health care workers in contact with Ebola patients. But Gov. Paul LePage says he is ready to exercise the “full extent” of his authority to protect the public after a nurse who returned from Sierra Leone but has shown no symptoms went on a bike ride with her boyfriend and held a news conference before her Nov. 10 incubation period ends. Maine health officials have gone to court try to limit the movements of nurse Kaci Hickox. In Georgia, travelers arriving from West Africa who have had direct contact with an infected person will be considered high risk and will be placed in quarantine at a designated facility to be monitored, while health care workers who have been treating Ebola patients but show no symptoms will be closely monitored by state health officials using video or home visits. Travelers who have been to an affected country but have had no known exposure to the disease will have to sign an agreement stating they will do temperature and symptom checks twice a day and will report results electronically or by phone. Failure to report will result in a mandatory quarantine order if necessary. In Illinois, the governor has ordered “high-risk” individuals stay at home for 21 days and undergo daily checkups. The California Department of Public Health on Wednesday ordered people returning from Ebola-stricken areas who have had contact with infected patients to be monitored for the disease and left it up to county officers to decide how, including a 21-day quarantine. Connecticut has announced plans to quarantine people on a case-by-case basis. In several states, health officials are monitoring anyone who has returned from Guinea, Liberia, and Sierra Leone for 21 days. That monitoring process varies: In Michigan that means calling people to check on them, while Florida authorities say they visit the people twice daily to take their temperature. In Delaware, people considered to have “some risk,” such as health care workers who have had direct patient contact but have no symptoms themselves, would be expected to sign agreements outlining restrictions of their activities, such as refraining from attending meetings, avoiding use of public transportation, and not engaging in activities that would put them in “arms’ length” of contact with others. Under Minnesota’s monitoring program, travelers from West African countries that are Ebola hotspots provide twice-daily details on their temperature and health condition, keep contact journals and face restrictions from taking long trips on public transit. Health care workers who treated virus patients abroad are subject to home quarantines, which the state considers voluntary. Officials say they would consider legal action to order a quarantine if public safety was deemed at risk. Texas, where the first U.S. Ebola case was diagnosed, calls for anyone with symptoms who arrived within the past three weeks from the virus hotspots to be rapidly isolated and transported to a health care facility. People considered to be high risk would be directed to stay home. Lower risk cases would be closely monitored and anyone coming in from countries with widespread Ebola cases would be checked twice daily for 21 days. State health officials in Alaska are finishing a plan that will outline the steps for when to put someone in quarantine or how to manage a patient who is off Alaska’s limited road system, said Dr. Joe McLaughlin, the state’s chief epidemiologist. Anyone who traveled to the hardest hit West African nations within the last three weeks would be interviewed and asked about their histories, such as whether they cared directly for Ebola patients. From there, officials would determine that person’s exposure risk and decide what quarantine measures are appropriate. Kentucky officials are still hammering out an Ebola protocol but said it would likely be unnecessary given the small number of people who arrive to the state from affected countries. Associated Press writers Brian Bakst in St. Paul, Minnesota; Adam Beam in Frankfort, Kentucky; Nancy Benac in Washington; Becky Bohrer in Anchorage, Alaska; Robert F. Bukaty in Fort Kent, Maine; Randall Chase in Dover, Delaware; David Eggert in Lansing, Michigan; Jamie Stengle in Dallas; and Judy Lin in Sacramento, California; contributed to this report.